You’ve done all the exercises that lifestyle gurus tell you to. Your perfect day has been in your head staring at you for weeks, maybe months. It feels like all you do anymore is plan and scheme to make more travel possible. You’re sick and tired of [insert your situation here]. Talking to your friends and family about it doesn’t help. They think you’re crazy! Location independence is the ultimate goal but how are you going to get there? Teaching English online is the fast track to location independence and I’m going to tell you why. 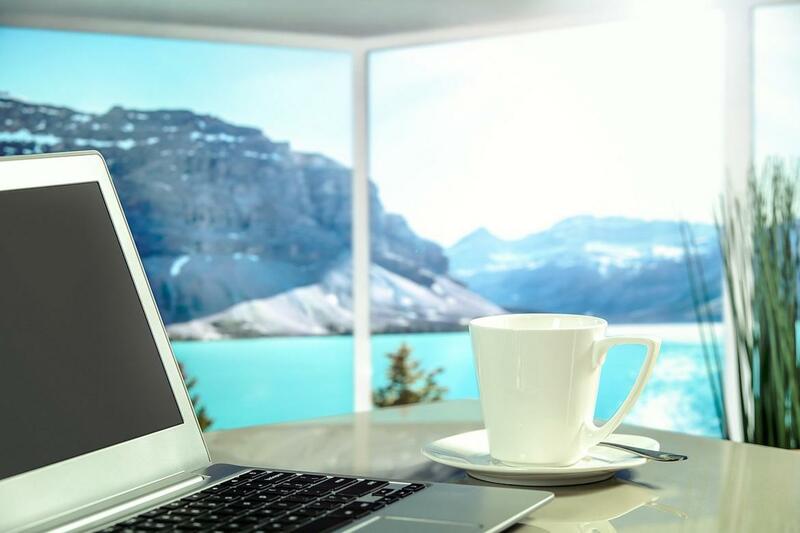 Some of the most common ways to become location independent or a digital nomad are to start a blog, learn a skill or service that you can sell, or create an online business. These are all great options that can have handsome rewards in the long-run, but none of these will give you overnight success. People spend years building and growing these online ventures. You can’t set up a blog today and be earning money from it tomorrow (otherwise I’d be rich AF!). It’s not possible to start a rent-a-chicken business (yes, it’s a thing) and begin earning a sustainable income next week. All of those awesome products you put in your e-commerce store take time to market. In short, it takes at least a year of hard work and dedication to break even, much less earn a profit. Wouldn’t it be great if there were a faster way? Oh wait, there is! That’s the whole point of this post: teaching English online! Think you can’t do it? I bet you can! No degree? No problem! There’s a company that will take you. No experience? I’ll show you how to get some. Stick with me! There’s a free download for you at the bottom, too! What’s holding you back? Let’s discuss it in the comments! It took us 1 year and 5 months to go from zero to full nomad thanks to teaching English online. You might notice that this doesn’t add up to 100%. That is because there was one more section of people who responded: 63% of responders were already living abroad or traveling full-time when they started teaching with VIPKID! One person said it took 18-24 months but that’s because they have kids. They could’ve done it in 0-6 if not for that. Another woman said she got the job, had a baby 1 year later, and 2 years later started traveling full-time as a family. So as you can see, it’s very possible to travel part-time or full-time by teaching English online and many people who decide to start teaching online, do it to support their desire to travel. I recently wrote about how teaching English in China led us to location independence. Moving to China was only the first step of many on our journey to this nomadic lifestyle we enjoy now. In October 2012, we went on vacation to Bali. It was one of many vacations that year. One of our friends had recently moved there for a study abroad program so we used that as our reason for going. We had such a good time that Sasha decided he was tired of having to leave vacation. He liked the idea of not having a job and an apartment to go home to. So after 3.5 years of life in Beijing, we decided it was time for a change. Over the next 10 months, we saved up as much as we could, quit our jobs, sold our stuff, and took off on a 14-month gap year trip. That’s where we got our first taste of long-term, full-time travel. That sense of freedom is addictive. Eventually, though, our savings ran out and we headed back to China, this time to Kunming, and settled into an apartment and teaching jobs. Who knew traveling at break-neck speeds would be so exhausting! As you can see, we were a little tired. Truth be told, we were excited to live somewhere again. This time was different, though. We started looking for ways to make our exit from China and figure out a way to travel more full-time. Sasha applied for the Darmasiswa Program – the same study abroad program our friend was doing in Bali when we visited in 2012. It’s a free program offered at many universities throughout Indonesia meant to spread Indonesian language and culture. The application process for the program is a waiting game and an exercise in patience, which is why this was a great time to give it a shot. June 2015 – So Long, China! In June 2015, we finally learned that Sasha had been accepted! By that point, we had already gotten engaged at a Phish concert and planned our wedding for that July. That acceptance letter planned our honeymoon for us. We were moving to Bali! Not only is the Darmasiswa Program free, but it pays students a monthly stipend and provides a residence permit – something that’s highly sought after as staying in Bali long-term is difficult. All that was great for Sasha, but they don’t provide any help for spouses. In fact, one of the qualifications of the program is being single. I started researching jobs in Bali and found that it’s quite difficult for bule (Indonesian for foreigner) to get hired unless they have a specialized skill. Well, I don’t have any specialized skills nor do I have an Education degree, so that meant I couldn’t get a job at the international school. That put us in a somewhat difficult position; we really wanted to go live in Bali, but it was a scary leap if just one of us had an income. We decided that I would stay in China for an extra six weeks after Sasha left for Bali so I could finish my contract at my school. As hard as that would be after just getting married, doing so would earn me a big bonus which would go a long way in Bali. Sasha’s expert number crunching skills showed that with the money we had already saved from a year in Kunming, my bonus, Sasha’s freelance writing income, and the stipend from the university we would be okay for the year financially if we stuck to the budget. I saw it as an opportunity to really figure out how to travel full-time. We had launched this blog just before we started our gap year trip and I had always wanted to learn how to monetize it. My newfound free time gave me the chance to get serious and really start turning it into a business. I started a blogging course that I got in The Paradise Pack and got to work figuring it out. I knew it was going to be tough, but O.M.G., never did I think it was going to be such a steep learning curve. Every time I would log in to try and work on something I would get so overwhelmed that I would just log out after a few minutes without doing anything. It became clear very fast that it was going to take a long time to grow and monetize it. I was going to have to look into other ways to make money if I wanted to bring my dreams of full-time travel to life. Sasha’s brother had done some teaching online while he was finishing up university so I started looking into that. My search results didn’t turn up much. I was beginning to think that I might have to find a new teaching job somewhere when I saw a post about VIPKID in a Facebook group. It seemed too good to be true, but I met all their requirements so I applied. They got back to me right away. It took me a little more than 2 weeks to get through the recruiting process. I started getting a few classes, which was nice as I had a chance to get the hang of things while I was in the same time zone as China. The timing couldn’t have been better. It was April 2016 and we were down to our last month in Bali. After 6 years of living and traveling around China and Asia at large, we were ready to spend some quality time in the USA. We had made major plans for the summer. In May, we went back to the States and put the new online teaching job to the road test. At the time, I was required to be available for 15 classes (7.5 hours) per week. I was a little nervous about my ability to keep up the teaching between all the moving around we were doing, especially since we were mostly on the west coast which meant that classes were in the middle of the night. But I’m proud to say that I pulled it off! We had such a huge month of music that summer that we had to split the recaps into two parts! It was so nice knowing that I was still earning an income even while we were still doing all that moving around. That income carried us through an extra few months in the States that we hadn’t planned on. My first contract went so well that I signed on for another six months. Sasha finally applied, too. With both of us now earning a steady income from VIPKID, I was able to turn my focus back to the blog and building our social media (follow us!). By December 2016, we had been back in the States for 7 months. We were ready to hit the road again. America is not a cheap place to be and it was slowly draining the rest of our savings. Plus, we found out that Sasha needed a root canal. He was quoted $2500 to do it at home. Yikes! It was time to get back to more inexpensive pastures. So we hopped a bus and hightailed it down to Mexico. This is the moment when I think we truly became location independent. It took 9 months. We pulled ourselves out of our comfort zone and back into the unknown. It wasn’t completely unfamiliar territory for us, but it was the first time we had to balance working with international travel. We set our sights on Puerto Vallarta. I had been hearing whispers online about how beautiful it was. Airbnb turned up an apartment for super cheap and the host put us in touch with a dentist that came highly recommended. Thanks to our backpacker mindset, we thought it would be good to see a few other parts of Mexico before settling in for boring dentist work. We added Monterrey, Mexico City, San Miguel de Allende, Guanajuato, and Guadalajara. By the time we got to Puerto Vallarta, we were pretty happy to slow down and sit still for a bit. It turned out that Sasha and I both needed more dental work than expected. But you know what? It didn’t matter because we didn’t have to leave. Beautiful Puerto Vallarta. Who wouldn’t want to stay longer?! We had the flexibility to stay for as long as we needed. Thanks to teaching English online, we also had the income to pay for everything and not go into debt. If Sasha had gotten his root canal at home, we would have definitely gone into debt. It ended up costing a fraction of what we were quoted in the States. During that time we really started to fall in love with Puerto Vallarta. So much so that we stuck around for another three months. That gave us more time to save some money for our next big move. Starting in September 2017, we took off to Colombia and spent seven months traveling the continent all while teaching English online. We checked off all our bucket list items – Galapagos Islands, NYE in Valparaiso, trekking in Patagonia, Carnaval in Brazil, Iguazu Falls, the Atacama Desert in Chile, the Salt Flats of Bolivia, and Machu Picchu. To see how we did it, check out our guide to traveling South Ameria as digital nomads. From there, we got to move into our favorite apartment in Puerto Vallarta for a full six months. We didn’t sit still, though. We hit up Summer Camp Music Festival. Sasha backpacked through Europe for a month on his way to the World Cup in Russia while I kicked it on the beach in PV and showed my parents around for a week. Now we’re home for the holidays getting some much-needed downtime (read: time to catch up on work) before seeing our favorite band for New Year’s Eve. Then we’re hitting the road again at the beginning of January. I want to show everyone that you can achieve location independence just by teaching English online. Yes, we have other income streams, but teaching online has been our sole source of income and the biggest thing keeping us on the road. If I hadn’t found VIPKID when I did, our trip to South America might have been a move to a new city to teach at a new school. Instead, we were able to check off all the places we wanted to see while earning a sustainable income. This fall has been huge for travel. We’ve done so much that wouldn’t have happened if we had brick & mortar teaching jobs somewhere. I went to a digital nomad conference in Colombia, and we both just went to Hulaween Music Festival in Florida and Phish’s Halloween run in Las Vegas. Live music is our biggest passion in life. Teaching English online allows us to see it whenever we want! Now let’s finally dig into the reasons why. The best part about teaching English online is that you can start right now. Even if you still have a full-time job, you could teach a few classes in the mornings before you go to work. You can also stay in one weekend night and schedule a few classes. It takes some time for your schedule to fill in. The earlier you start, the more likely you’ll have a full schedule of classes and fun students by the time you hit the road. Starting now will also help you get used to teaching online. It was an adjustment for both Sasha and myself and we already had 5 years of classroom teaching experience under our belts before we entered the online space. You’ll have plenty of time to work out the kinks and figure out your teaching flow while you’re still in your comfort zone. Let me tell you, trying to work out kinks when you’re in an unfamiliar place makes them feel ten times harder than they really are. For me, being able to get the hang of teaching English online while I was in the States made a world of difference. I don’t think things would have gone so smoothly if I had started just before we hit the road or in the middle of our big trip. Nothing like an ocean view to enjoy while you’re teaching! Most online teaching jobs are part-time on weekdays because they are an extracurricular activity for the students. During the week, you’ll most likely only teach for four hours a day. In some cases, you won’t even have to spend time lesson planning. The companies make the lesson plans and you simply familiarize yourself with them. Of course, if you like lesson planning there are companies that give you free rein. You can use the extra free time to work on your other projects, hobbies, and passions in life. I use my free time to grow this blog. In my perfect world, we would earn a sustainable living from the blog and replace teaching English online as our main source of income. I’m very proud to say that our monetization efforts are paying off. The blog is beginning to make money. It’s nowhere near as much as we’d like but it’s a start. I don’t think it would be earning already if I didn’t have so much time to dedicate to it. In the past, teaching online meant that you had to create your platform as well as market yourself and find your own students. My how times have changed! Education technology has exploded in the last few years. There are lots of online teaching companies that do all of the marketing for you. They also connect you with students. In many cases, you won’t even have to communicate with the parents (if you’re teaching kids). The companies track all of your classes and always pay you on time. So not only do you have more free time to work on your other projects, you’re still earning an income. That income will go a lot further if you spend more time in less expensive countries such as Mexico, Colombia, Indonesia, or Thailand. One of the main reasons for being location independent is to travel more, right?! Basing yourself in another country gives you easier access to multiple destinations while allowing you to immerse yourself in a new culture. As stated above, I’m working to grow and scale this blog into a business that earns a sustainable income. But blogging is hard and takes a lot of time, patience, and a willingness to experiment and try different strategies. I would’ve given up on it a long time ago if I didn’t have the financial security that teaching English provides. Being able to feed ourselves and pay our bills has lessened the pressure of making the blog successful quickly. We don’t have to compromise our morals and values for the sake of growth. The best companies give you complete control over your schedule. You can open class times whenever it works best for you. That means making time for travel has never been easier. Some companies have weekly minimum requirements but you can get around it with some fancy scheduling strategies if you’re doing more off-the-grid traveling (like trekking in Torres del Paine). When we first landed in Colombia, we had only made plans to visit Colombia, Ecuador, and Peru. By the time we got to Peru, we had planned all of the big-ticket things like Patagonia, Brazil, and a big trip with Peru Hop. Unlike our big gap year trip, we didn’t have a ton of savings on that trip. We were very much paycheck-to-paycheck so we had to just put our heads in the sand and work for a month so we could afford it all. Thanks to our flexible schedule with VIPKID, we were able to teach every day. That really paid off when we didn’t teach for several days in a row so we could just be in the moment for the actual traveling part of the trip. There are some places where teaching English online just isn’t an option due to lack of connectivity. The best part of teaching online is not having to ask permission to take the travel days off. There’s extreme satisfaction in watching your students progress in their language abilities. Learning a new language can open lots of doors to opportunities. You can take pride in helping your students achieve their goals of travel, passing a test, or getting a better job. This job is so fulfilling that I will still teach online when my business is finally earning a sustainable income, just because I like it. Teaching provides way more than just money. I’ve developed fun little bonds with several of my students and I look forward to seeing them week after week. They often teach me some things, too! Furthermore, teaching online has helped me keep going when I was feeling down and frustrated with the blog. Building an online business is hard work. There have been so many points where I felt like nothing was working and I was ready to give up. But because I was still doing other work that fulfilled me, I found the motivation to keep trying. It’s not always rainbows and unicorns, though. Teacher burnout is a real thing no matter how much you like it. Finding a balance is key and knowing when to back off on the scheduling is something you should be aware of from the start. Now that you know all the reasons why teaching English online is the fast path to location independence, you’re probably wondering how you can get started. Well, I wrote this e-book just for you! Inside, I introduce you to the companies that I think are the best for teaching online. I have even included companies that do not require a Bachelor’s degree. You’ll have to hustle harder as they don’t pay as well, but this is still an option for those that don’t have one. I also walk you through the steps you can start taking to minimize your life and get a grip on tracking your spending. It will help you lay the groundwork for your new location independent lifestyle. And the best part: IT’S FREE!!! Enter the information below to grab your copy or check out this post for more info. I’m also coming out with something that will help you even more on your online teaching journey. By downloading the e-book you’ll be the first to know what it is and when it’ll finally be ready! Teaching English online is a great option for people who want to start creating a life of freedom and location independence. Even if you’re not passionate about teaching, it’ll get you out on the road and traveling more quickly than many other remote work options. You can start teaching online now while you’re still in your full-time job, living at home with your parents, or whatever your situation may be. Begin building up your student base and have a full schedule when you’re finally ready to hit the road. It’ll enable you to get out of your current situation and base yourself wherever you want for as long as you want. You won’t have to stress about money because you’ll have a steady income from teaching. Then you can use all your newfound free time to focus on other projects like an online business, a blog, or a service you want to offer. Or, if all you really want to do is travel, teaching online will earn you enough to sustain it for as long as you can keep going. I’d love to try this but everything I’m reading seems to point that I might have the odds stacked against me. The program you did at the beginning, the age limit is between 17-35 -> I’m 43 so I can’t do that program. I have no previous teaching experience (unless you count raising two children) and I don’t have a degree. What do you suggest I do if you were in my situation and would like to teach English around the world or online? Hi, Robin! I believe you are referring to the Darmasiswa Program which actually doesn’t have anything to do with teaching. It’s simply a study abroad program that doesn’t even give you a certificate. I think raising children counts as teaching experience, especially if you homeschooled them. The first thing I would suggest is to get a TEFL certificate. I wrote this post all about what a TEFL certificate is and how you can get one online. Taking a TEFL certification course will teach you all the necessary skills for teaching English. Many online platforms and schools abroad do require a Bachelor’s degree but if you dig deep enough you can find ones that accept a TEFL certification in lieu of a degree. Hope this helps! Let me know if I can do anything else. I’m about to finish a degree Bach of Educational Studies. I took the degree to give me a better chance of teaching English online or in a class. I’m all for going LI but the one thing that concerns me is the internet speed that a lot of companies say you must have, and if traveling what do you do about internet connection? Do you end up with a zillion different accounts for each country you go to? Hi, Lisa! Thanks for reaching out! I get this question a lot so I’m going to be writing a post all about this and other issues to be aware of on the road. I’ve found that as long as you have at least 10 Mbps download and 1 Mbps upload speed, then you will be fine teaching online. You can do it with 5 Mbps download but it’s risky. It’s okay for 1 or 2 days but I wouldn’t try to teach on a speed that low for an extended period of time. While speeds are important, the biggest factor to consider is latency (ping) and the stability of the network. We pretty much always stay in Airbnb’s and Sasha always sends a message to hosts asking for their wifi speed before we book. We make it clear that we need numbers and not a simple response like “Oh it’s fast,” or “Other guests have worked here with no problems,” and if that’s all they say then we keep looking. There are definitely places where teaching just isn’t possible like Banos, Ecuador. The internet there is crap so we just treated it as a vacation and stayed only a few days. Hope this helps! Let me know if you have other questions! I think this is such a good point! I’ve worked remotely for 6+ years now and I completely agree that teaching English is a great way to get started with remote work. It’s fairly easy and the ideal way to build a consistent income while building a blog or other business on the side! Hi, Betsy! Thank you so much for the comment! What kind of remote work do you do?